> Ever wondered how a modified Prius would turn out? Ever wondered how a modified Prius would turn out? 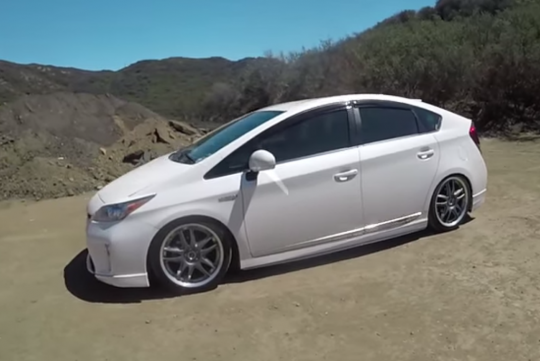 This Prius gets modified and Matt Farah from the /Drive youtube channel finds out whether it is any good. This particular one has the full kit of suspension upgrades, a drive control module, and some JDM accessories. The owner even has a set of steps to do in order to make the car go into maintenance mode. Why so? Because its the only way to turn off its stability control system. So is it any good? Watch the video to find out!